This cookie recipe is adapted from one I saved from the Baltimore Sun newspaper. 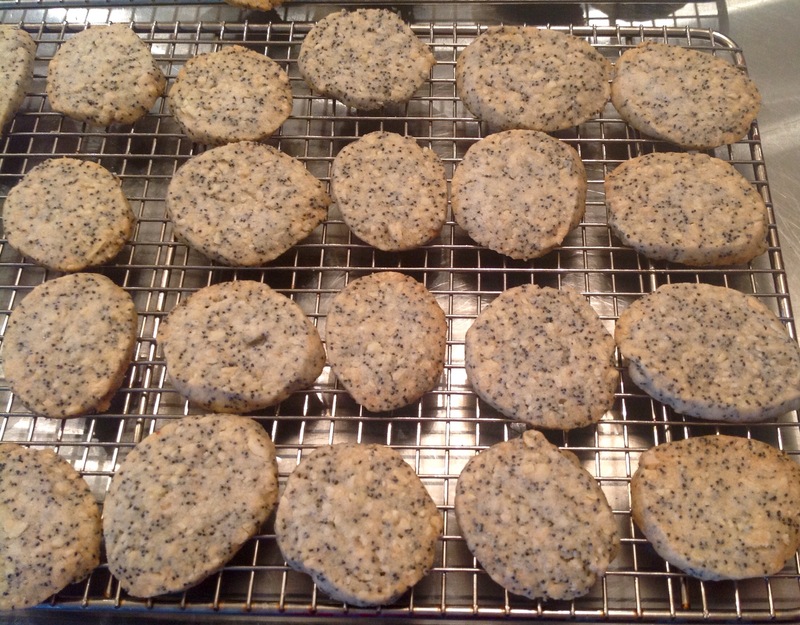 If you like poppy seeds this is a good recipe to have in your holiday repertoire. The cookies freeze well. In a mixing bowl beat butter and 1 cup sugar until light and fluffy, about 5 minutes. Add egg, extracts, cinnamon, and lemon zest. Mix well. Add nuts and poppy seeds. In a separate bowl combine flour, baking powder, and salt. Mix dry ingredients into the butter mixture by hand until fully incorporated. Divide dough into two logs. Wrap each log in plastic wrap and chill 2 hours. Preheat oven to 325 degrees. Line three baking sheets with parchment. Cut each log into 1/4-inch slices. Place on baking sheets. Sprinkle with granulated sugar and bake for 18-20 minutes, rotating the pan halfway through baking, until golden. Cool on rack. Makes 90 cookies.